tellows is once again receiving several comments regarding Carribean numbers, this time from Montserrat, with code number 664. The scam starts by calling anyone, usually during late hours, so one would think that it is an emergency and would then make a return call. Unfortunately, it is often just a recording generated by a computer system with the purpose of making the victim stay on hold for a longer time. Apparently, it is coming from a „pay-per-call“ line (similar to area code 900 numbers in the US) that charges high fees including international rates. This scam has been going on since the 90’s and because it is not a US-based number, it is not under US regulations. It would be difficult for those people who were scammed to get assistance and ask for a credit or refund from its local phone carriers since for one, they did make the call, and second, it is already another foreign company in the Carribean that they should be dealing with. This entry was posted in general and tagged 664 phone scam, annoying calls, caribbean numbers, caribbean scammers, cost trap, nuisance call, Scam, telephone, telephone fraud on Thursday January 16th, 2014 by Grace. 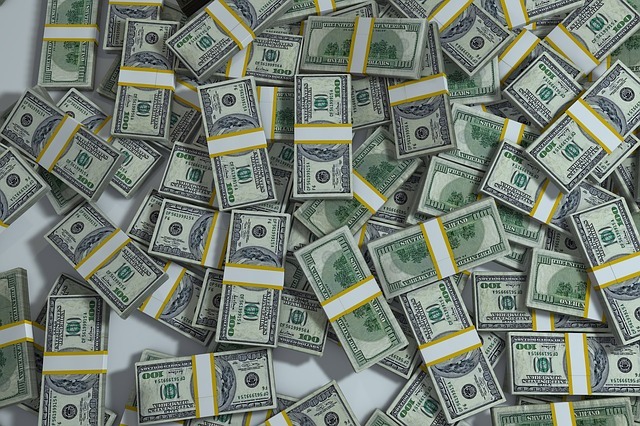 As we know, when it comes to thinking of innovative ways to rinse you of your money, scammers are tireless; and as rhyme would have it, one of the big schemes reported on tellows.com at the moment involves spoofing Verizon Wireless. 2) The automated voice will inform you that you are owed an obscure amount of money (usually amounting to a couple of hundred dollars) as a bill rebate and instruct you to log in at www.vzw***.com (*** being the 3-digit figure you’re supposedly owed) to collect it. 3) You enthusiastically hop online and go to the web address provided, which will look, incidentally, EXACTLY like Verizon’s own site. 4) You happily tap in your log-in credentials, hit Enter, and bish bash bosh, the scammers have your vital account details. Fortunately, Verizon is aware of the scam, but it sadly doesn’t mean that they are able to stop it. The perpetrators are also spoofing 8009220204, a number that actually belongs to Verizon, to complete the picture of authenticity. However, it’s worth being aware that this is a number that Verizon doesn’t actually use to make outgoing calls. They have called me several times telling me I have a $331 credit to my account. Only problem is, I don’t have a Verizon account. Maybe they will just send me the cash. Should be close to 10 grand by now. Well, noone’s perfect. A fraud ring was recently arrested for the self-same scam – this was a momentary triumph, but the Verizon gig seems to be such an attractive technique to fraudsters that somebody is still out there conning people out of their hard earned dimes. As always, we urge you to second-guess unexpected or unlikely-sounding phonecalls or emails and always contact the company directly if you’re unsure about anything at all. 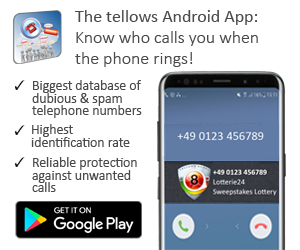 Keep reporting your experiences with unknown numbers on tellows and help the online community in the struggle against telephone torment! Well then, boys and girls. As a closing note, we’d like to leave you with these summative words from ‘Complaint’. 8008889599 IS NOT VERIZON WIRELESS. The pre-recorded voice instructs you to visit www.vzw625.com to collect a $625 bill credit. DO NOT visit this website, it is a scam. This is not verizon wireless. In case you didn’t catch that, these numbers are NOT Verizon Wireless. This entry was posted in knowledge and tagged bill rebate, card details, cost trap, fraud, Log-in, Method, online account, recorded message, robocall, scam artist, telephone numbers, telephone scam, tellows.com, Verizon on Monday December 2nd, 2013 by Ellen. All Systems on Alert for the Medical Alert Scam! We’ve said it once, and we’ll say it again: scammers really do know no scruples. The scheme we’re looking at this week preys on senior citizens. Often living at home alone, Grandma & Gramps may feel isolated or vulnerable; so when a scammer comes calling from ‘Senior Safety Alert’ with an offer of an unbelievably cheap in-house alarm system for break-ins or medical emergencies, they will probably jump at the chance. Ironic, considering that sieges on their security are exactly what they’re trying to protect themselves against. The call starts with a recording offering the deal: a system worth hundreds of dollars, fitted for you, on a $30 per month contract. The potential ‘scammee’ will then need to press a number to indicate their interest and will be transferred to a ‘customer advisor’, who will take their credit card numbers and personal information and scam them for all their worth. You, faithful tellows users, seem to be on the ball enough to show these fraudsters what you’re made of. It helps that they don’t seem to have the facility to filter their target market. User ‘vanity-affair’ got a call from 2126775122, claiming to be ‘Medical Alert Systems for Seniors’ (which might be bona fide but is suspiciously one of the names famously used by bogus callers). I’m not a senior but the calls are still annoying. I’m not interested in buying something over the phone. the classic medical alert scam. The caller will identify him or herself as an employee of a company to the effect of Senior Safe Alert, Medical Alert Systems, etc. etc. There are, of course, legitimate companies that offer these systems but they will NOT, repeat NOT, ask you for your social security number, credit card details, outline of your genetic makeup, etc. etc. during a sales call! Other warning signs include a refusal to disclose any details about the company (e.g. address) or an unwillingness to provide any authentification documents. As always, take care of yourselves! And don’t forget to er… raise the alarm, if you get one of these calls. 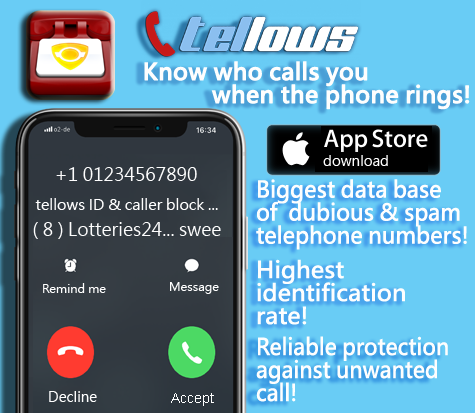 Keep reporting your number experiences on tellows and have an excellent week! This entry was posted in knowledge and tagged alert, blog, bogus, cost trap, grandma, grandpa, Medical, Method, scam callers, seniors, telephone, telephone scam, tellows.com, weekly on Monday November 25th, 2013 by Ellen.